We offer several types of body therapies that help to increase range of motion, increase flexibility, relieve stress and tension and give you an overall sense of well being. Our therapeutic massages are specially designed to address a wide range of conditions and needs. Massage therapy can be a powerful ally in your healthcare regimen. Massage therapy helps you relax, re-align and rejuvenate. There are so many healthy benefits to receiving massage therapy on a regular basis: relieves stress, encourages relaxation, improves posture, improves circulation, lowers blood pressure, helps manage pain, relaxes muscles, improves flexibility and range of motion, relieves tension-related headaches, enhances post-operative rehabilitation and improves rehabilitation after injury. Recent scientific research also proves that massage therapy increases immune function, decreases stress levels and reduces recovery time in m any medical conditions including: musculo-skeletal disorders, allergies, depression and anxiety, arthritis, carpal tunnel syndrome, asthma and bronchitis, circulatory problems, insomnia, sports injuries, and fibromyalgia. We also offer Vichy massage which incorporates warm water with gentle to deep pressure to alleviate stress and assist circulation. A massage customized for the very special needs of moms-to-be. Carrying a baby changes your center of gravity by putting stress on your back, neck, abdominal muscles and shoulders. Improve blood and lymph circulation and mobility, ease sore muscles and relax with our most nurturing massage. Nothing makes for a happy baby like a relaxed and happy mom! Please note: We recommend sessions begin after your first trimester. This gentle, light touch therapy concentrates on the craniosacral system detecting potential restrictions and imbalances. This is a delicate, healing technique that promotes vitality and helps the body’s ability to heal itself. 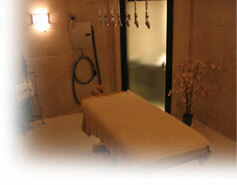 In the end, you feel the release of tension and a soothing sense of deep relaxation and well-being.